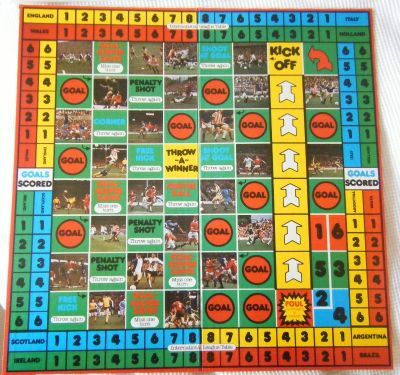 A very colourful but little known football board game from the 1970s. 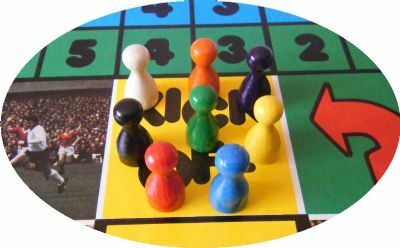 Usual format of dice and counters and a game board. 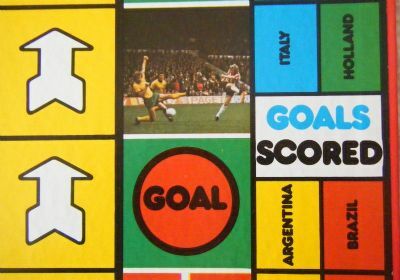 Hugely colourful game box showing the board. 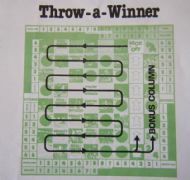 Crap game name! 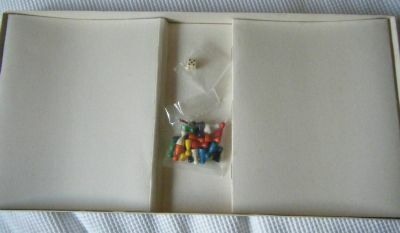 Price is for a complete game, never used, still sealed bag of counters but the box has torn corners. 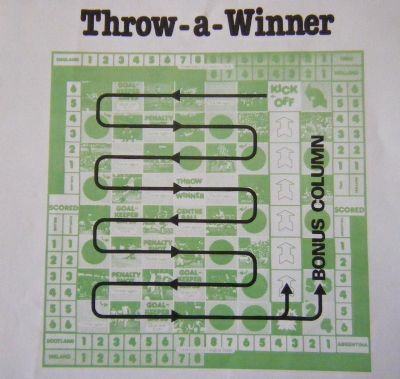 Not a huge amount of contents without the board - just three each of eight coloured counters and a dice. Wow! 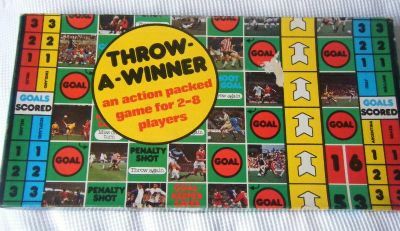 Very impressive with lots of colour and lots of 1970s action football shots. 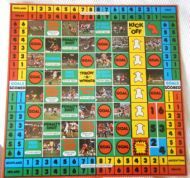 Looks like you need to 'go on a mazy' to win this game!